Quiet cottage in beautiful Port Medway on the Light House Route in Southwest Nova Scotia. A short drive to two gorgeous beaches, twenty minutes to groceries, theatres, museums and restaurants. 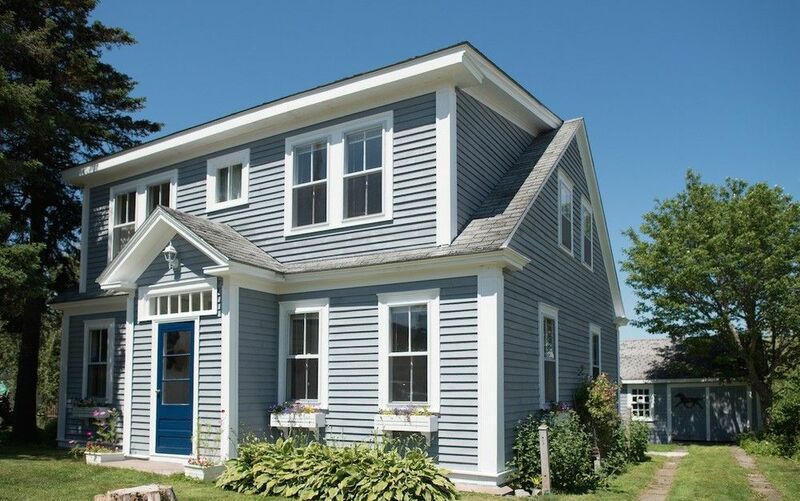 It is forty minutes to Historic Lunenburg and ninety minutes from either Halifax or Yarmouth. Built in the 1800's the house retains much of its original charm with many modern conveniences. Two Bedrooms, one and a half Bath, Full Kitchen with new Propane Stove, Fridge and Dishwasher, Den/Library, Laundry/Mud Room, Screen Porch, Basic Cable, WiFi, Wood Fireplace. Relax on the Screen Porch, go to the beach, read a book, enjoy. A delightful Romantic or Family get away. From the garden you can watch the fishing boats come and go from the wharf, a short walk away. The path through the settler's cemetery takes you to a small low tide beach. The Port Grocer, a combination Cafe, General Store, and Post Office, is just around the corner, offering Lunch, Sunday Brunches and occasional music nights. In the summer there are Art and Craft Shows, The Port Medway Reader's Festival, Liverpool Privateer Days, Kayak Rentals, Fireman's Breakfasts, Drag Racing, Fishing on the Medway River and many many more fun and interesting things to do. From the garden you can watch the fishing boats come and go from the wharf, a short walk away. The path through the settler&#039;s cemetery takes you to a small low tide beach. The Port Grocer, a combination Cafe, General Store, and Post Office, is just around the corner, offering Lunch, Sunday Brunches and occasional music nights. In the summer there are Art and Craft Shows, The Port Medway Reader&#039;s Festival, Liverpool Privateer Days, Kayak Rentals, Fireman&#039;s Breakfasts, Drag Racing, Fishing on the Medway River and many many more fun and interesting things to do.